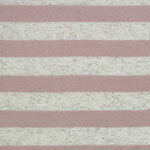 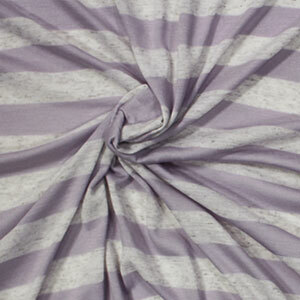 Season perfect color lavender purple and oatmeal stripe cotton jersey poly rayon blend knit. 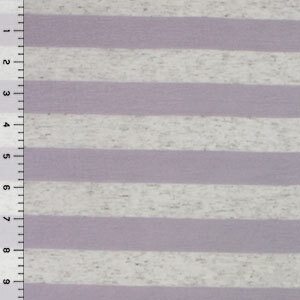 Fabric is soft, slightly sheer, and drapey with a nice stretch recovery, lightweight. 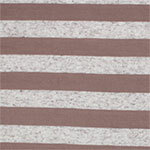 Stripes measure 1". 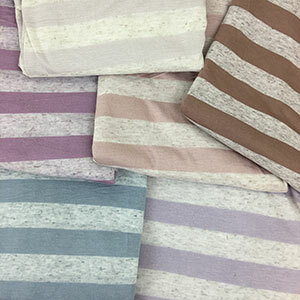 Cool and soft fabric that is great for many on-trend items like maxi dresses, skirts, tops, headbands, and much more!